Internet is abuzz with the news that Verizon is finally going to introduce its very own iPhone. This has already created much interest in the iPhone considering that AT&T was the only provider of the iPhone until now. AT&T had sold about 44 million iPhones last year and with Verizon coming into the picture, that number is poised to double. Verizon is also claiming to offer some great bundles, thanks to their fast network. Verizon’s iPhone will run on CDMA networks and will be different than AT&T’s iPhone version. The difference will only be how it communicates with its respective networks. The other major difference is that Verizon’s iPhone will come with an unlimited data plan! This will be a great boost and can be the reason for many current iPhone owners to switch providers. AT&T in June 2010 removed the $30/month unlimited data plan and switched to 200MB and 2GB data plans with steep charges for over-the-cap usage. AT&T blamed this on better consumer choice but insiders said that AT&T’s slow networks could not suppor the bandwidth consumption. 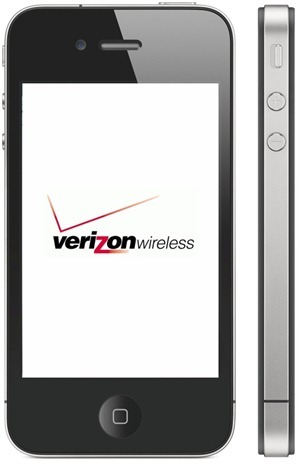 AppleInsider reports that Verizon will offer its unlimited data plans on its new CDMA based iPhone. Verizon is to officially announce the launch of their iPhone in New York on Tuesday, January 11 and shipping will begin by the end of the month. How important is unlimited data plan for you? Sprint to Offer Unlimited Data Plans for iPhone 5! No More Unlimited Data Plans from Verizon! Verizon iPhone will have Hotspot Feature! Previous Facebook Shutting Down on March 15 ?